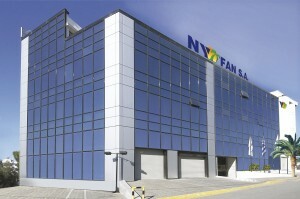 NYFAN over 30 years offers integrated solar shading solutions while focus on the growing need for protection against natural and weather conditions such as sun radiation and rain. Our company emphasizes on high quality, durability and raw materials application which is why we can guarantee long-lasting and durable shading solutions. In the field of wholesale and manufacturing, we have developed a large network of reliable associates across Greece where interested final customers can turn to for purchase and placement. Our services and activities are housed in three modern privately-owned complexes of 9,000 square meters in total, in Chalkidona and Oinofyta areas. Our goal is to continuously expand our business and offer more and more comprehensive services. Our exclusive partnership for 30 years with the leading manufacturer TenCate, who produces the famous NYFAN TenCate awning fabrics, at their facilities in the Netherlands, has led us to the top of consumer preference. (entirely manufactured at our factory in Oinofyta). 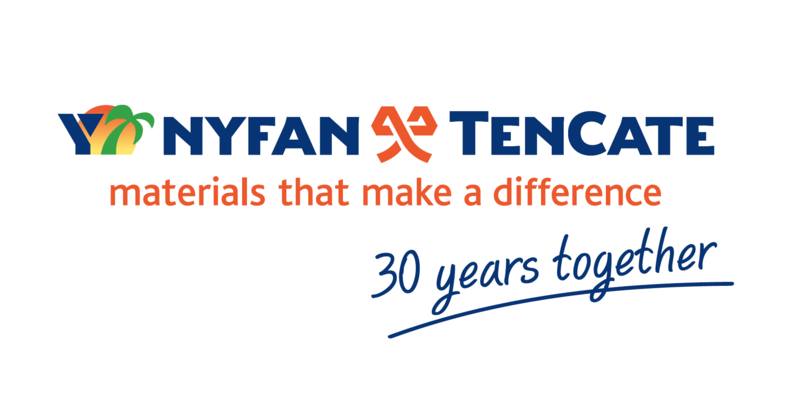 NYFAN has an exclusive partnership with TenCate for 30 years. TenCate produces the famous NYFAN TenCate awning fabrics, at their facilities in the Netherlands. These are products that are recognized for their incomparable quality, high durability and perfect fit, thanks to their advanced manufacturing technology. From synthetic grass at the biggest stadiums in the world to the uniforms of NASA astronauts, there is the TenCate signature everywhere. A big brand that constantly invests in research aiming to find advanced materials and techniques, which enhance the already high quality and functionality of all products even more, making a true difference! 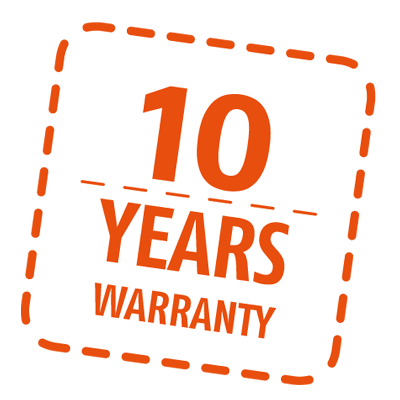 10 years real warranty for the first time ever! 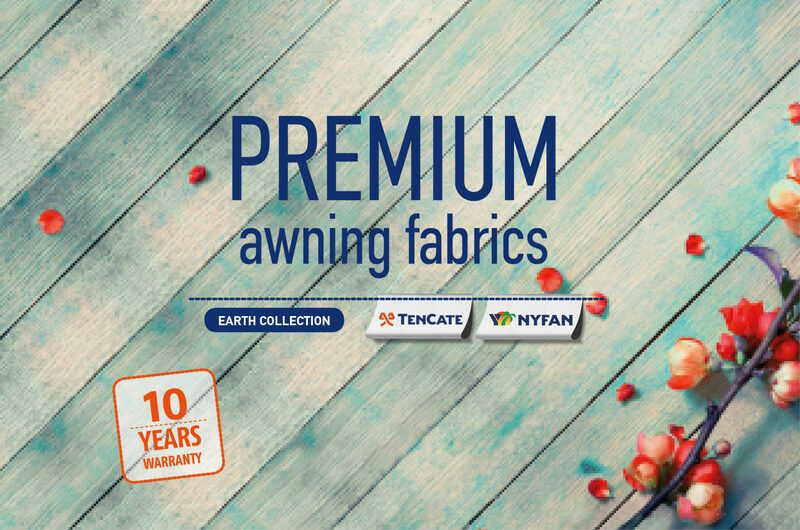 This year for the first time ever, NYFAN offers a 10-year real guarantee for all awning fabrics. The appearance of the fabric is excellent even after many years of use, because it does not keep any dust, it does not overflow and the colors remain vivid.